A Georgia high school teacher lost her life on Saturday after a car she was driving collided with a vehicle carrying two students from her school, the New York Daily News reports. Both parties were en route to the school prom, where O’Brien was going to be a chaperone. Leah O’Brien, a teacher at Lakeside High School in Decatur, was traveling with her 8-year-old daughter and making a turn when a car coming the opposite way hit her vehicle. The 33-year-old died on the scene, and her daughter was taken to the hospital in critical but stable condition, 11 Alive reports. The teens in the other car, a 19-year-old man and an 18-year-old woman headed to Lakeside’s prom, did not have life-threatening injuries. “Our thoughts and prayers go out to the family of Ms. Leah O'Brien. The entire Viking nation is grieving the loss of one of our best,” the electronic sign outside the school read on Monday, 11 Alive reports. According to the news station, O’Brien was a family and consumer-science teacher and a dance team sponsor. 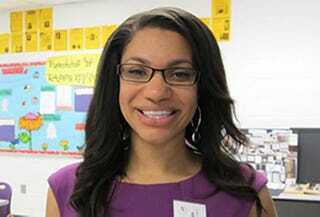 She was part of the teacher-development program, working with students interested in teaching as a career. “She built that program up from … small, two or three kids interested in it, to a thriving program because of her energy and enthusiasm and her passion for education,” Lakeside Principal Jason Clyne told the news station. Read more at the New York Daily News and 11 Alive.